We've done things similar to this in a variety of formats, but I was hoping for a little more detail and explanation. I'm curious about songs that discuss, depict and celebrate events or non-events in rock history. It might be as simple as Tom Petty singing about him and Del Shannon singing "Runaway" from Running Down A Dream. It might be elaborate as in American Pie or Creeque Alley. (Is that spelled right?). So many rock songs honor rockers, concerts, movements, etc. that came before. Neil Young sings " I'm a million miles away from the helicopter day", referring to Woodstock in his "Roll Another Number For The Road". I'll start with Creeque Alley by The Mamas and Papas because it always fascinated me. John Phillips documents the struggles of the group to survive as starving musicians as well as the booming folk music scene. "John and Denny, working for a penny, trying to get a fish on the line. In a coffee house Sebastian sat, and after every number, they'd pass the hat. McGuinn and Maguire, still a-getting high, and LA, you know where that's at. And nobody's gettin fat except Mama Cass". That's a slice of rock history there. BTW, Phillips also wrote about Michelle and Denny having an affair right under his nose. He wrote "I Saw Her Again Last Night". wouldn't you know it became a hit and every night, with Denny, Michelle, and John on stage, Denny had to sing the words John wrote him..."I saw her again last night, and i know that I shouldn't..to string her along, is just not right"
Anything you have would be lot's of fun to read and think about. I also heard that mama Cass was in love with Denny since the beginning but she had to accept they would be just friends, so when they used to sing "I saw her today" on stage everybody´s was feeling a little uncomfortable. "Do You Remember Rock N Roll Radio?" I love both those songs! I am actually listening to 'I Saw Her Again Last Night' right now! Edna, I think that 'Do You Remember Rock & Roll Radio?' totally sums up Joey Ramone, it's what he was all about: rock n' roll purity, Phil Spector, 50's & 60's girl groups and bubblegum pop. Totally different to the other members of the Ramones. For me one of the best songs about the history of rock and roll, and definitely the best "dues" tune is "Truckin" by the Grateful Dead. I forgot about that one by the Ramones...perfect!. I heard another today...The Temptations "Ball of Confusion". they have the line "The Beatles new record's a gas." Actually maybe not...I kind of like Johnny. And Dee Dee had the street appeal. Way for me to be indecisive. Let's just say I love them all. I am surprised Deep Purple's "Smoke On The Water" hasn't been included here yet. It tells in depth what the band was experiencing, and what was happening around them. And it tells it with those three fantastic chords, too! 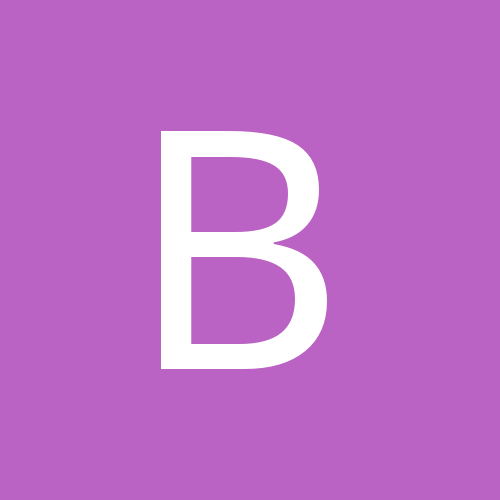 (>) creequealley.com is an entire website devoted to study, analysis and discussion of the song, and Mamas and Papas fandom. Wow! What a lot of changes since my last visit to Songfacts. Hey, it's Tybalt! Do you like the new digs? Welcome back, Good Prince of Cats. What a great site about Creeque Alley, Tybalt! And hi! I always liked "Down On The Corner" by Creedence Clearwater Revival...I know it's about a fictional band, but they did portray the part on the cover of the album...I thought that was pretty cool...I like the lyrics, and It's gotta good beat to it too! I'm adapting to this extreme makeover. You know I'm an spasmodic poster, only a "flounder". I'll risk adding my two cents when I have jewels to spare. In the early 70s, I worked for a while at an upholstery supply/foam cutting plant in east Oakland. The warehouse was just two or three blocks from Duck Kee Market, and my friends and I got our lunches there often (They made pretty good deli sandwiches). 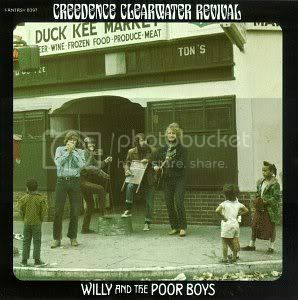 I hadn't noticed, but a few years later, after we had all moved on to more rewarding jobs elsewhere, one of these friends pointed out to me that Duck Kee Market is "the corner" pictured on the Willie And The Poor Boys album cover. I know we have talked about this subject more recently, but how fun, digging this thread up from four (!) years ago! It's so funny that Peter, Paul & Mary are singing about Rock & Roll in their simple folk form, and including psychedelic Donovan & The Beatles .... Rock & Roll has come a long long way from the music they were singing about. Ohio Express (the sixties bubblegum group that did "Yummy Yummy Yummy").